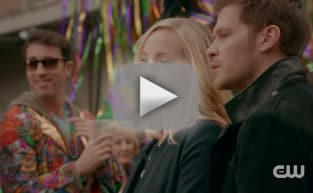 The family rounds up in New Orleans as Klaus continues to fall apart. Freya searches for a way to get rid of The Hollow, but there's no way out. Vincent tries to find a way to make her realize as much. 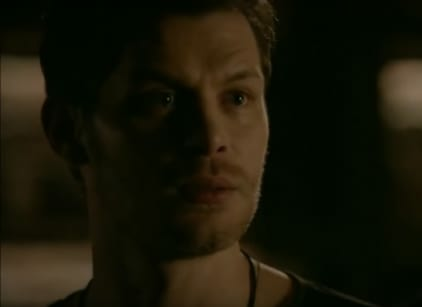 Elijah is still trying to be the sacrifice, so he takes some of The Hollow's power from Klaus in the hope of giving him longer to live. Mikael tells Klaus to stop fighting and to kill himself, but Cami tells him to get it together for his daughter. Klaus gives Caroline a tour of New Orleans, and it ends with them kissing each other. Rebekah and Marcel sleep together before deciding to get back together. Klaus tells Rebekah there is a cure for her in Mystic Falls. Rebekah tells Marcel she wants to marry him and live a life with him, and they agree to leave. Freya asks Vincent to be the one to give her and Keelin a child. He eventually decides to. Klaus and Elijah regroup at the bench from the pilot and Elijah halves the white oak stake between them. They both die as the series fades to black.